If you need to share files with other users in Windows 7, just move the target folder to your Public folder. If you want to monitor the Public folder for access activities then you can use ShareWatcher or a similar app called ShareMonitor. 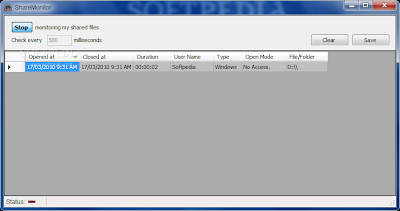 With ShareMonitor, when a user remotely opens shared files on your computer, application detects it and displays information such as username, time it was opened, duration, and other information. To stop monitoring, just click the stop button on its main interface. You can also set the check interval, clear the log, or save the log as .CSV or .XML format. ShareMonitor is a portable application so you don't need to install it on your machine. 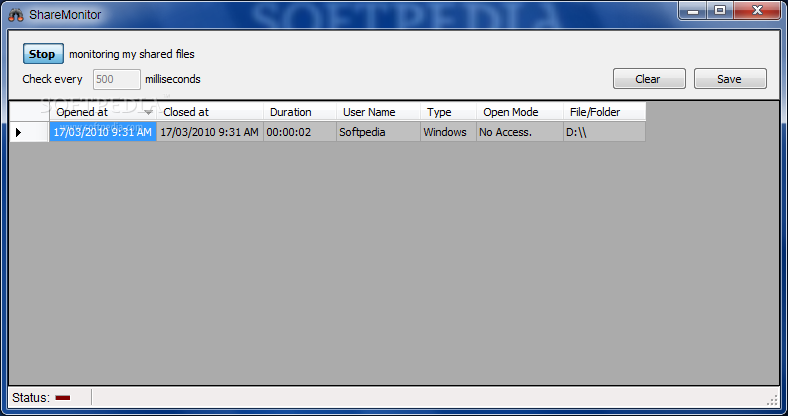 It works on all Windows version including Windows 7. I had no idea before that with this appkication, when a user remotely opens shared files, this app detects it and displays the information about the file. Good notice to remember. Besides, do not forget to cehck http://best-essays-writers.org when you are out of ideas. Thanks for this information! I advice for everyone top essay writing. This service helps me to be successful at university.